GOOD MORNING & welcome to "Friday's Tip of the Day"! Today you are ALL in for a treat! I have sweet Miss Debbie joining me again & she has the CUTEST projects EVER! Let's get started! For my card I used the Peachy Keen's March Stamp of the Month for the CUTE little mushroom! 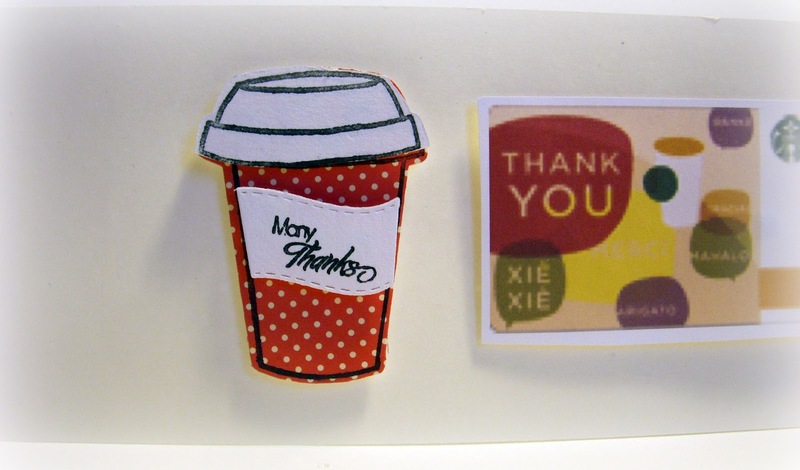 Other items used: Scallop & Stitched Circle Die, Recycled ribbon & So Grateful For You stamp set! Now onto my FABULOUS "Guest Designer" MISS DEBBIE from "Bugjuiced"! Good Morning Everyone and thank you for stopping by to see another Friday tip of the day for my monthly guest spot for sweet Emma. 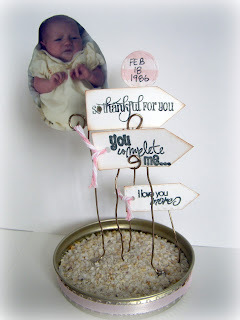 Today I wanted to show you a cute project to make that is really quick and simple and just sweet! The tip of the day here is to re-purpose old jars such as canning jars, pickle jars, spaghetti sauce jars and make something that holds a special meaning/message...make a Memory Jar! This one is all about my sweet daughter. She is the best thing that ever happened in my life and at 26 years old I still think of her as my little girl and that will never change. So I made a Memory jar for my project. 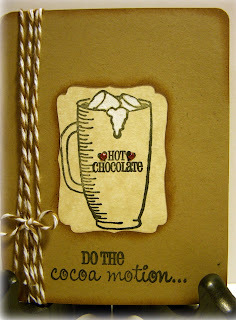 I used the "Teeny Tags" dies and stamps as well as stamps from "Turn that frown upside down" and "This and That". I cannot tell you how much I love Emma's stamps and dies. The quality is just far superior than other stamps. Her dies I am loving. I didn't know what I was missing before I had them. I took a ball jar (purchased at Michaels for $1.99) and bought a spool of 20 gauge wire and just twisted them up to hold my little sentiments. I had originally plan to use long tooth pick type sticks but couldn't find them anywhere! I just bent up little swirlies to put the tags on and hot glued them to the lid. I put sand originally in the bottom but think I will buy something else to go in the bottom so by the time this pic is put up it will maybe change. 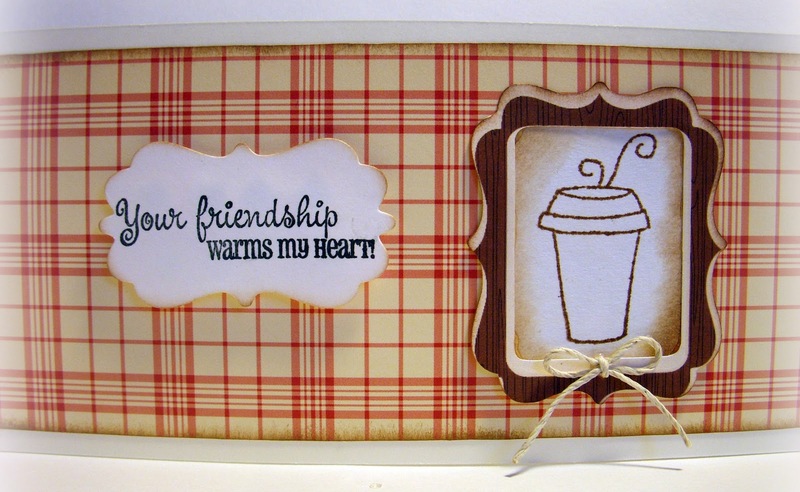 I added a cute little sentiment for the front and used from "This and That" set. I used the circle die from "Build a Banner" to put her Date of Birth on. I used "Turn that frown Upside Down" for the You complete me, It really looks cute in person. "My minds Eye" 6x6 paper pack Lost and Found and it is Market Street. 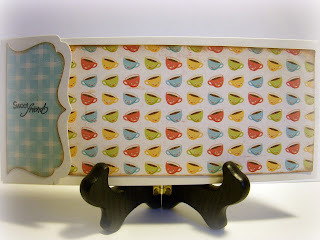 I also used the "TeenyTags" die to make a cute little banner for the top. I was going to use the banner kit but needed my banner to be a bit smaller. I bought these cute little letters at target for $1.99. There is a whole bunch of them. They just redone our target and I have to say the crafting area is much better. 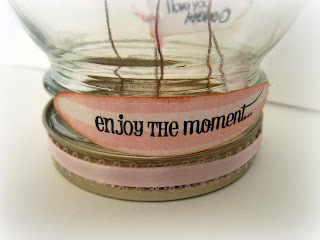 I used the dies from Teeny Tags both sizes to make the signs inside jar. It was covered up by the sand but you can use moss etc. It probably would be better since its hard to screw it on with all the loose sand. I dream of going back in time to when my baby girl was a baby! I LOVE YOU LINDSAY!! I did a cute little gift card for a sweet friend. 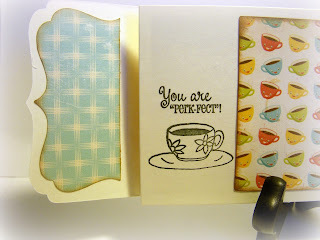 I used Close to My Heart Die cut Cards with envelopes and used Miss Emma's New sets "You are Perk-fect" and "Coffee break". I love this die!! I also used her Curly Label Die. Click on each of the products I listed for the store page they are on! I printed pattern paper from my cricut cartridge "Kates Kitchen"and also used the Homemaker stack from October afternoon. I used my Close to My Heart Art Philosophy cart to do that cute little flap shape! I knew the special person I am sending this too loves Red. I think all of these stamps are just so Delish!! I will be putting a starbucks gift card in place of the "fake" one I printed here. I didn't have time to get their today since I was super busy at work! 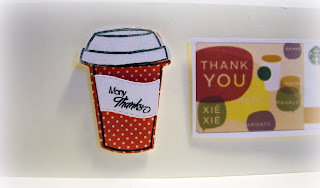 "Teeny Tags" used again for the Sweet Friend and the Many Thanks in pic below. "You are Perk-fect" set again for the cup stamp and sentiment above. The cutest cup die in the world from "Coffee Break"
3rd Project...yep its the last one! I used my Art Philosophy cartridge to cut this shape card. It is cut at 4 1/4" I think of "Do the locomotion" when I think of this set!! 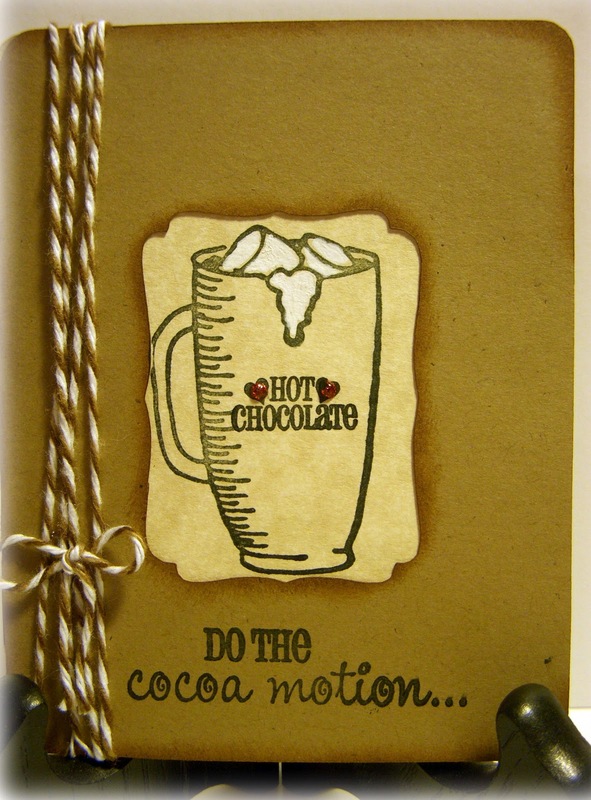 Although in my head I sing Cocoamotion instead of Locomotion! I hope you enjoyed my long post and hopefully my tip of the day! I just love this ribbon iron, what a great idea and I love the Memory jar, what inspiring projects!! How cool. Haven't seen these before in Australia. I have been doing this for ever. I have collected some beautiful ribbons this way. I would love the iron. I won't have to pull out the big iron all the time and the small "craft iron" I have doesn't get hot enough. Wow what a great idea that memory jar! Love the projects today ladies! Love the jar! What a great idea. Love the card, beautiful. Thanks for sharing with us. I love this ribbon iron. Great tip. Love the card you made out of the ribbon. great tip. how cute is that Jar!! and I really want to learn how to make cute cards for some reason my cards just dont turn out cute. Emma, your blue mushroom card is gorgeous! Love that color of blue. I can't tell anyone how many, while working with my ribbon, I wished I had a ribbon iron! Debbie, your jar is so cute, love the "You perk me up" card-the design is neat. Your card is beautiful, love that little mushroom. Thanks for the chance to win. I know there is nothing worse than a wrinkled up ribbon ;) Debbie's projects are all awesome. 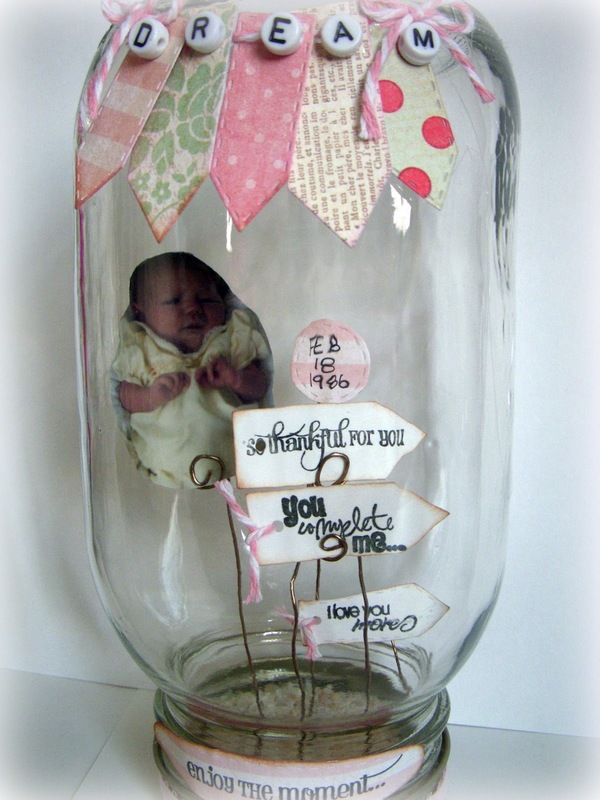 Love that jar idea, what a beautiful keepsake. ribbon! Love your new store, congrats! Great tip! Love the project! Thanks for the oppportunity to win. I love watching your videos and all the "creative times" you share with us! Thank you for the chance to win that awesome ribbon iron, I didn't know there was such a cute little thing and I could've used that a million times already! Thanks for the chance to win! Thank you for the chance to win the ribbon iron. I never saw it before. I enjoy all of your Friday tips. The pk March stamps are amazing and so is your card. Adorable project. Love the mushroom! Thanks for the chance to win the ribbon iron! Very cool give-away! OH my ~ I have NEVER seen a ribbon iron! Do you know how many times I pull out that big iron or at times I don't and should! What a great gadget! Emma your card is so CAS! I LOVE it! Miss Debbie ~ Oh WOW! I think that memory jar is to PERFECT! What a great idea and gift to give someone! Thanks for all the tips and fun ideas! I love this project. I have the whole case of jars leftover from a craft project a few years ago. Thanks for this idea. Love, love, love that ribbon iron. That is a gem in itself. Hope to have a chance at winning. I don't think I have ever seen that before. Novel idea. So cute! I have never seen a ribbion iron. Now I have to have one! TFS. What a nice give away. I save ribbon all the time.This would be perfect to have on craft table. Love your card with the mushroom. Beautiful card! I love the teal and white! Would love to win the ribbon iron! That is a fabulous tip Emma. I've never seen that ribbon iron. Thanks for the chance to win. I never throw anything away. This is the bees knees. I have never seen a ribbon iron. Pick me, pick me, pick me please. Great projects. I love repurposing! I think I will do that for my desk. I don't have a ribbon iron, thank you for the opportunity to win one. how cool. i always save my ribbon from stuff. never knoew they had an iron for the ribbon. thanks for the chance to win. Super cute projects! TFS and thanks for the chance to win! I always have ribbons that are too pretty to throw away but I get really tired of dragging out the big iron to smooth them out, so this little gadget would be wonderful to have. Thanks for the chance to win. I love your projects. I love to use ribbon on my projects. I didn't know that there was a little iron for them. Thanks for the chance to win! Love tne projects! Very inspired to make a memory jar!!! What a neat iron! I never have seen one before and how handy it would be to use on my ribbon! 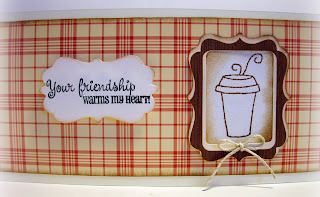 I love all the projects and your card is beautiful! Thank you for the chance to win! Great tips and great projects again! Thanks so much! That jar is so neat! My mind is spinning with all the things you can do with that idea. 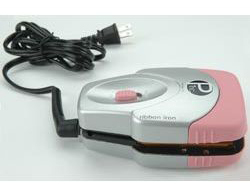 I never heard of this iron for ribbon, it looks like a great tool (why didn't I think of this). Great cards and wonderful idea with the jar, it has me thinking of ideas already! Thanks for the giveaway Emma! Love your HAPPY little spring card Sweet Emma and would love to have that cute little iron in my craft space as well. Have I told you today how much I love your stamps? They are the best. Remember pick me pick me!! I would love the little ribbon iron - I don't iron clothes either. The memory jar is so sweet! I enjoy all the projects I see here. The ribbon iron would be very handy too! adorable little card, love the little mushroom with the big bow....I so need to practice bow tying LOL... Debbie did a wonderful job as well. I LOVE the scene in the mason jar ! beautiful!!!! This is such a happy and handy tool!!! Thank you for the chance on winning this! I would love to have this handy tool--beats dragging out the iron. Awesome giveaway! I recycle every bit of ribbon I get on gifts or purchases and use it on my cards, too. This little iron would be perfect to make it look like new again! I save all my ribbon, too!! This would be perfect for restoring it back to it's original shape. Thanks for the opportunity to win. You are the sweetest! I save all of my ribbon as well that comes on packaging, etc...this is such a great little iron. I love all of your projects and inspiration! Emma you always have the best gadgets to work with. 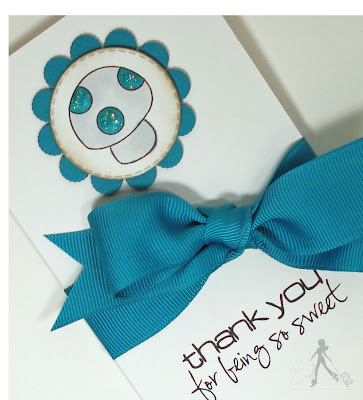 Your card is so cute and simple to make! I love it! Your card is adorable-and that iron is amazing! I have a ribbon iron, but it doesn't work near as well as that one-it looks just like a miniature iron. OMG! All of these projects are fabulous. I love the iron. I had no idea there was even such a tool. Very tip of the day. I save all the ribbon from everything. Cute card:)Thanks for the great tip Emma. I love to recycle ribbon as well, and have never thought about getting a ribbon iron, (hopefully I win it lol:). What a beautiful project Debbie, I am going to try to make one. I love your card and loved all the ideas that Ms. Debbie published. I have never seen a ribbon iron before - how handy is that? Would love to win one. Thanks for the chance to win. OOOHHH I will have to put that on my B-day list Emma! Thanks for the video!!! That is so cool!! I didn't even know there was such a thing as a ribbon iron! Would love to win it...would be a lot easier than pulling out the old iron & ironing board set!! What a great tool to have. Love the way the card came out. Wouldn't mind having this tool around. Love the awesome projects, the memory jar is absolutely amazing! I have never seen the ribbon iron before and I thought I was up on all of the crafty tools. That is an awesome tool! Wonderful projects, love reusing stuff. TFS and the great giveaway. You always inspire me to go to my craft table and begin making cards! Thanks for the chance to win this darling iron. That memory jar is adorable. I still think of my boys (ages 23 & 27) as my babies, too! I also save ribbon from packaging. That ribbon iron is pretty darn nifty! A ribbon iron....now how cool is that?!?! I didn't even know there was such a thing! Now I've gotta have one!!!!! I had no idea there was a little tiny iron for ribbons...I do save any ribbons I get on packages or at weddings and showers etc. Great tip! Debbie did a great job on her 3 projects. That paper with the little cups was perk-fectly wonderful! Would love to win a ribbon iron. Have so much ribbon. Don't want to send any out that looks used. Great inspiring projects and a new toy! Thanks for the chance to win. Wow, what a cute little handy tool to have. I hate pulling the iron out to do that. Thanks for the giveaway. What a great tool! I have never seen one of these before and have thrown out many pieces of ribbon due to them being too wrinkled to use. A ribbon iron, who would have thought? Great idea! Love all of the projects, I need to order those stamps. Oh Emma! I would love to win this! My craft area is far away from my iron and this would be so handy. I have never seen one before. Thanks for the tip and the chance to win. Emma, you find the nifitiest little crafty helpers, don't you? What a great idea! Who wouldn't love this in their craft room. Thanks for the chance to win. What a great tool, thanks for the video. I have TONS of ribbon scraps and more. This is awesome!! Love the ribbon tip. This some awesome ribbon that you have there. Also the memory jar. So sweet.! A Ribbon Iron, what a great idea. Thank-you for the chance to win one!! such a cute card! I always love to recycle ribbon - its just too pretty to toss out! I would LOVE to win a ribbon iron!!!! thanks for the chance Emma! 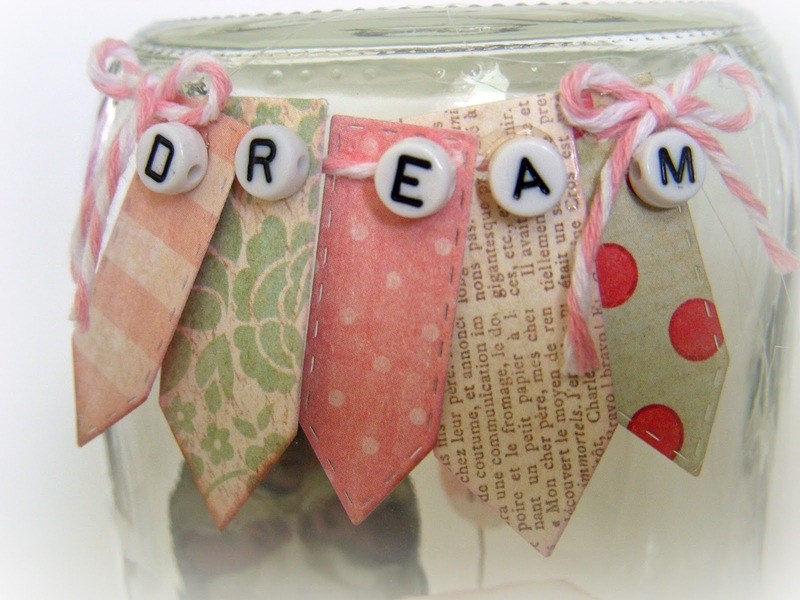 Fabulous projects and I really like the idea of a memory jar! wow!!!! the projects are awesome!!!! absolutely love the ball jar project!!!!!! A memory jar is such a fun and unique idea. The uses are endless. I've never seen a ribbon iron before and would love to have one. Never seen anything like that ribbon iron. HI Emma, another cute card for your stash. Thanks for the inspiration. Thanks for the chance. Thank you Emma for the great tip on recycling ribbon. i always save everything, but now i'll use it too. If i don't win your cool little ribbon iron, i'll just have to use my other iron. And the card is so cute with the little mushroom. Thanks for sharing. Love the memory jar, it's so adorable. The ribbon iron is new to me, what a neat tool!!!! Beautiful way to upcicle a jar, TY Miss Debbie! Emma the ribbon iron is AWESOME, I am a ribbon reclycler too! Thank you for another fantastic week full of inspiration, prizes and tips!!! Have a lovely and restful wknd, you deserve it! So cute, I love the card with the mushroom!! Love it! Especially the jar! Thanks for sharing. Oh *** another gadget for the craft room -- such a good idea but never saw it before your video -- thanks for sharing !! What a great tool! I try to reuse everything I can and this would be so helpful. I love the memory jar idea, I put a picture of my husband on Myrtle beach in an old green mason jar with some shells and it brings back memories of all our beach adventures! I don't like to get out the big iron either, so this little iron would be very handy dandy. Do you think I could straighten out my hair with it? (just kidding). Great ideas, thank you! The little ribbon iron is cute and lots easier than dragging out the iron and ironing board. Love the jar idea and will go dig one out and give it a try. I love the ribbon iron - I've been recycling most of my gift package ribbons. Thanks for the chance to win one! Unique idea, I can't get over how many creative ideas I have discovered. Great project. I have one of these irons and I love it I bought it a few years ago when Holly Fossen was on HSN and she was demoing it...and I couldn't order it fast enough and you know she even used it on curled or bent up corners on her papers and it took care of the problem .. go figure. I am always keeping the ribbons from products that I buy, so winning the ribbon iron would be wonderful. Thanks for the opportunity to win it. I love all the projects! My favorite is the upside-down jar collage!!! What a neat idea! Great projects Emma! Would love to win the ribbon iron ... it is such a pain to get out the big iron from the other end of the house and into my craft room. Then of course when I need to iron something I have to go hunting for it! Super cute card! I've never seen a ribbon iron, that would be a cool tool to have! Love using the ribbon from packages. Like this idea and I would probably use them more often if I had a ribbon iron to use. Great tip. Ive never seen a ribbon iron, but how cute! Would love to win it! Hi I whould love to win the ribbon iron that is a cool tip. Would love to win a ribbon iron. I've seen them before but never demonstrated. Emma: I had no idea there was a ribbon iron. I think is perfect. This is a first time that I see this. Thank to show us! Happy day! Emma, playing catch up today and saw all your projects this week and they are all so cute! I love this card, well all of them this week. so cute. And how cute is that ribbon iron! And love the little memory jar, I am so going to try this. TFS and hope you got lots of rest this weekend. Have a wonderful day! Cute little tool. Beats dragging out the big iron,and having a place to iron it. Very Pretty Card. This is a perfect tool to add to my crafting tools. I use my iron now. This would make ironing my ribbon easy. Debbie I so love the jar! It would be great gift giveaway. I'll have to put this on my try list. Your card is just perfect. Thanks for sharing AJ! What a fun way to showcase a photo! Thanks for a chance to win! This is a great tool! I love the jar...so pretty and creative! So very generous!!! Love the memory jar idea soooo cute! And unique!!! Thank you so much! Have a BOXFUL of scrap ribbons that need to be straightened! What a perfect tool for that! Thanks. That ribbon presser is about of the the coolest do-hickey's I've seen in a long time! I wouldn't have to go set up the iron to straighten out a piece to go on a page or page. Cute and functional! TFS.